Home Pet Care Tips Why Hire A Professional Pet Sitter? Not all pet sitters are created equal. This is especially true when comparing a professional pet sitter with someone who is untrained. 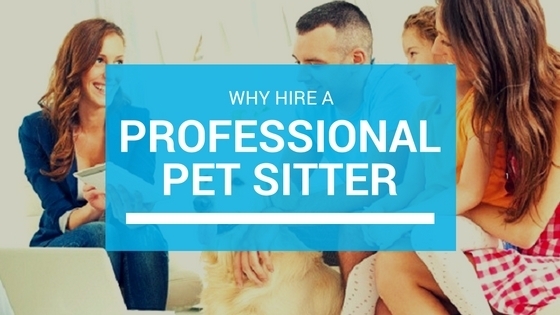 When hiring a sitter, it is crucial to ensure that you have chosen the right pet care provider to look over your beloved pet. When pets need care and attention and no one is there to provide it, it raises their stress levels. With a trained sitter to look after them, happy pets are here to stay. Being consistent with your pet’s daily walks, meals and other routines can be challenging when you’re away at work all day. Proper diet and exercise just on weekends is a definite no-no! Pet sitters can schedule a quick drop-in to feed your furry and not-so-furry friends or take your dogs for an afternoon walk. Every pet parent has had to make that call. Ringing up a family member or friend unannounced because of a pet sitting emergency is not a good experience for anyone involved. Keeping your pets at home is safer for them and for you as well. On roadtrips, pets can be a dangerous distraction. Taking them on flights is very risky for their health as well. If they’re staying with a sitter, they’ll be comfortable and relaxed in the safety of your home. An added source of worry is not knowing whether you’ll be coming home to a shredded sofa or a pet nibbling on something possibly toxic. A knowledgable professional can make sure that potential dangers are kept well away from your pets. When you hire a pet sitter that’s accredited by a local network, you’re guaranteed excellent services from businesses that know the type of care needed for pets within your area. The National Capital Area Professional Pet Sitters Network, which promotes professional pet sitting in the DC Metro area, including Northern Virginia, the District of Columbia and Maryland professional, maintains a membership base of sitters that are extremely competent, insured and bonded. Pet Peeps is a proud member of the NCA Professional Pet Sitters Network (and several other trusted organizations).